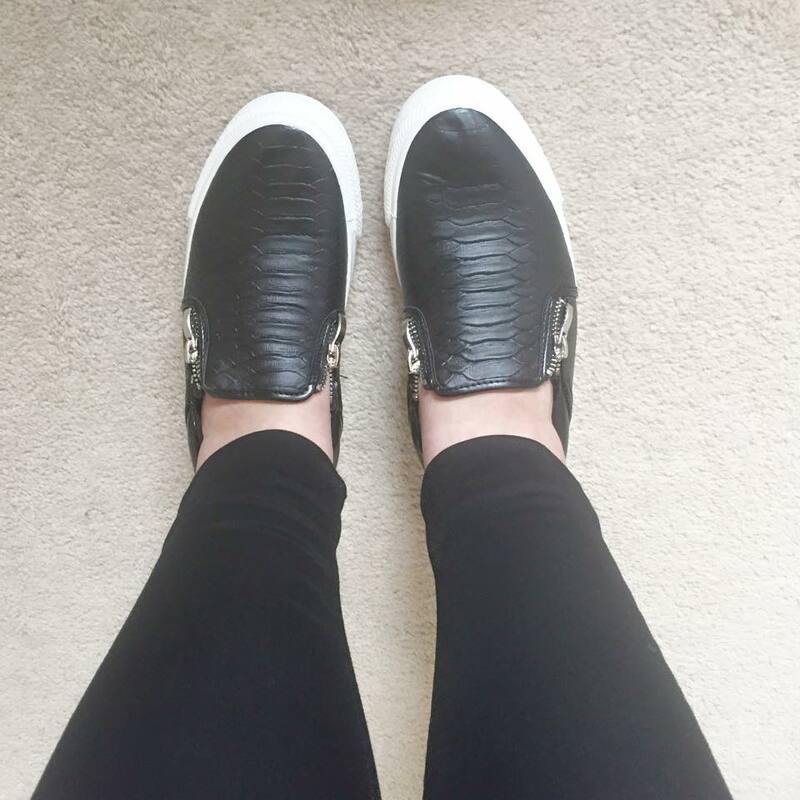 NEW SHOES & DISCOUNT CODE! I hope you're loving the weather at the moment I certainly am! Last week a lovely company called Ego approached asking if I would be interested in doing a collaboration with them. Before agreeing I scoped out their website to ensure their products would be of interest to myself and you my lovely readers. Their website had an amazing range of shoes which were to die for! I then replies stating I was interested and they offered me a one time 30% off code to order some shoes from their website in return for being featured in a blog post and on social media. These are the shoes I ordered. Firstly I picked these snake effect skater shoes. I have seen so many people wearing this style of shoe and have wanted a pair for myself! I never really saw any I liked, they either had a thick soul or just looked tacky. Until I saw these... they are amazing quality and also extremely comfortable, but the best bit is that they are so inexpensive! Lastly I picked these gorgeous suede effect heels. Chunky heels are basically my thing. I saw these and they instantly caught my eye. They are rather high but they are really comfortable and I don't think they will make my feet ache which will be a bonus. again they are amazing quality and extremely affordable. I am so lucky to have Ego approach me it is also extremely flattering that they enjoy my posts and social media enough to want to do this collab with me. I will definitely be ordering more shoes from them in the near future as they are inexpensive and amazing quality. I hope you enjoyed this post I would love it if you could click here and check out Egos website for yourselves. If you see anything you fancy then use the code CHLOED10 for 10% off your order!